Choosing a school is not an insignificant task. 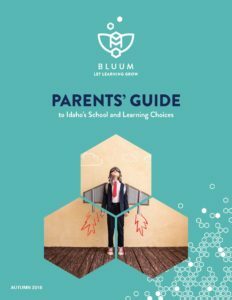 We’ve compiled a variety of resources to help you and your family take the guesswork out of education options in Idaho. We believe that K-12 education should provide personalize opportunities to meet the needs, interests, and skills of individual students so that they can grow and succeed in college and beyond. We are so grateful to live and work in a state where families have an expanding number of options to choose the learning opportunities that best fit their child’s needs. Creemos que la educacíon del Kinder hasta el grado 12 debe proveer oportunidades personalizadas para cumplir con las necesidades, los intereses y las habilidades de los estudientes individuales para que ellos puedan crecer y tener éxito en la universidad y más allá. Estamos tan agradecido de vivir y trabajar en un estado donde las familias tienen un número en expansión de opciones para escoger las oportunidades de aprendizaje que so las mejores para las necesidades de sus hijos. Idaho Education News is a comprehensive collection of online sources that provides information about public education in Idaho. 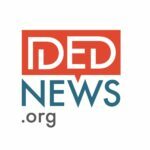 The website, IdahoEdNews.org, features stories, news and commentary about education policies and practices and the people who create and implement them. Information also is distributed through social media. Idaho Education News is a public awareness services where parents, patrons, educators and lawmakers can find the most useful information on issues that affect Idaho’s children and their future.